A large global insurance and risk management provider�came to Wire Stone, an international design and branding agency, to combine several of their�websites into a single, unified experience. Working with the Wire Stone team, I led the user experience track of the redesign. We worked with the the client�team to create a navigation structure that could support their�many solution offerings and industry practices. 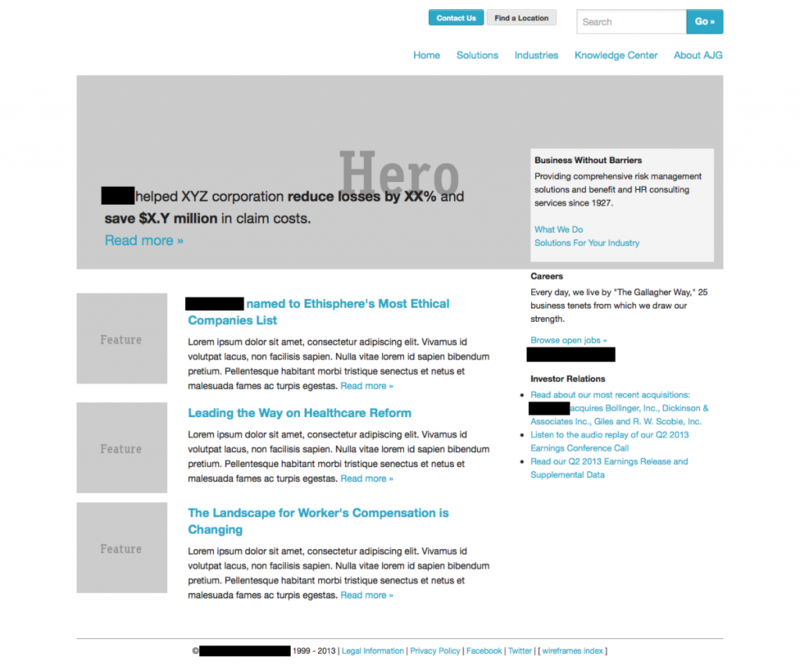 The site design also included a knowledge center, which houses all of the client’s�thought leadership articles, as well as presenting them in a context-appropriate way throughout the site. I built the design prototype in HTML/CSS using the Foundation responsive framework.